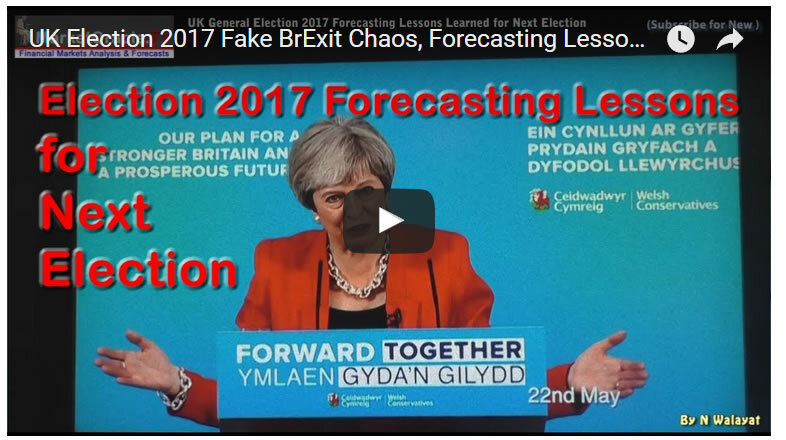 UK Election Forecasting - YouGov Snatches Defeat from the Jaws of Victory! Furthermore YouGov would continue to revise Tory expectations lower which towards the end of the campaign had the Tories on just 302 seats, which would have represented a disastrous election outcome for Theresa May, translating into a Labour Coalition of Chaos government, one of where the SNP would be calling the shots. Final call poll: Tories lead by seven points and set to increase majority"
Though, in reality whilst YouGov's Tory seats tally of 302 would have been the closest to the final tally of 318 seats. 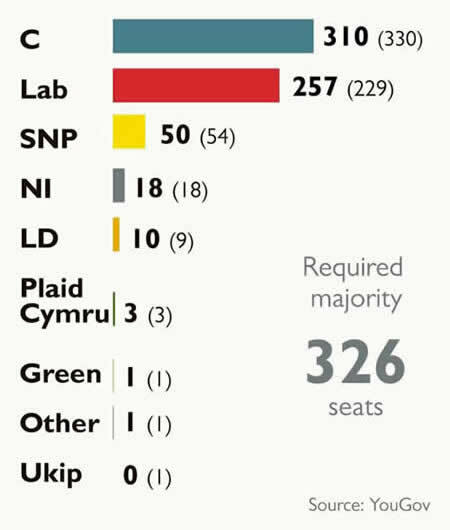 Nevertheless would have still proven to be wrong as the Tories on 318 did manage to continue in government with DUP support which would not have been possible if the Tories had only achieved 302 seats. So in reality YouGov would still have gotten the election outcome wrong, even if they had stuck to their forecast instead of bottling out in the final hours.